It's great to see long-standing partner Allium going from strength to strength, growing their business from the Shield Consultancy days. We've always enjoyed working with the asbestos professionals at Allium and it is good to see them promoting the virtues of asbestos management system Alpha Tracker to their clients. Do contact us if you want some Alpha Tracker promotional material for presentations or your website. 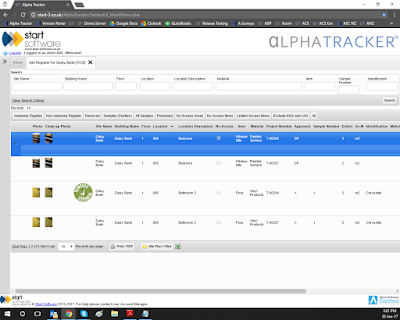 We're in the final testing phases of asbestos software Alpha Tracker Release 24 and it's going to look quite different! We've got a new style, improved dashboards, a simplified interface... the team has worked very hard to really give the product a fresh look and make it easier to use - especially for new clients. If you want to join our beta testing group so that you get to see the new product releases early and can suggest improvements and new features, please do get in touch. £47,000,000 of new business was quoted for. These numbers don't include our Tracker users - if we added them in too then the numbers would be up by 50%! Thanks for trusting us and our asbestos software Alpha Tracker to run your asbestos consultancy and automate the production of asbestos survey reports, re-inspections and site registers. Here's to a busy 2017. Did you know that asbestos software Alpha Tracker's live ("real time") asbestos register now incorporates surveys, re-inspections and also bulk samples and air monitoring projects? ACMs are fully updateable with removal information & remediation work and the data can be viewed in the in-built Client Portal by your customers as well as your own specialist asbestos staff. There’s even the ability to download the data to Excel or PDF and to reproduce full asbestos management plans including the latest site plan! For more information, contact our support desk or check our comprehensive User Guide. We've just made beta 3 of the latest release of asbestos software Alpha Tracker available for download to our beta-testing customers. Look out for improved site management facilities and improved password/security features. If you would like to be a beta-test customer, do get in touch. Adam has just finished an update to ATDM (known as v1.4.906 SVN179) which supports improved text formatting including conditional bold and coloured text in asbestos reports and other documents. Please contact support if you would like this update applying to your server. 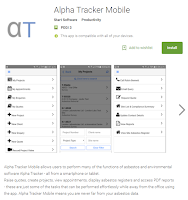 What's the link between Alpha Tracker and the inventor of the spreadsheet? 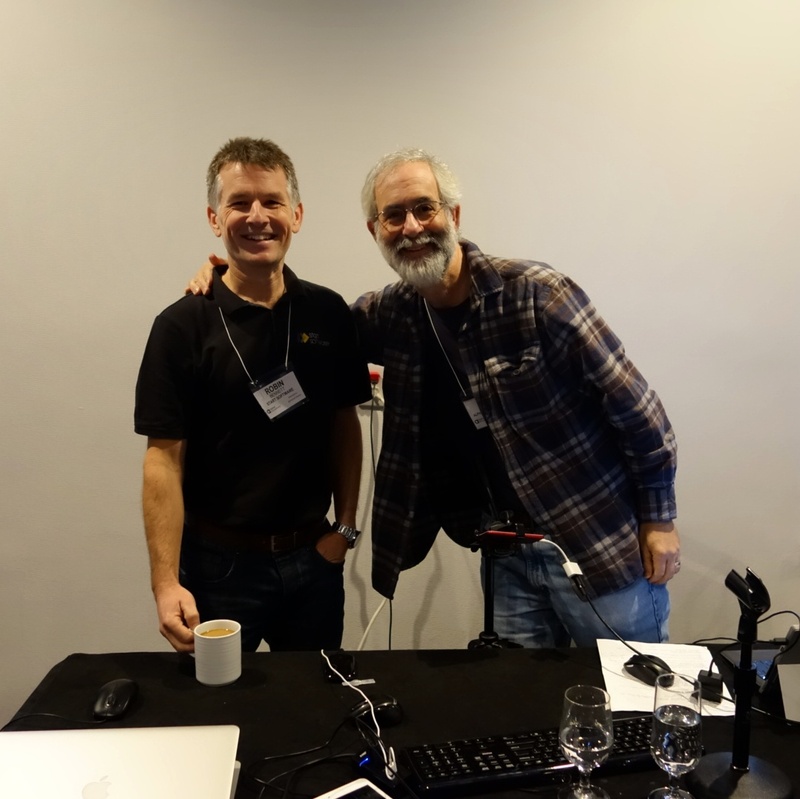 Did you know that every time you use asbestos system Alpha Tracker you are using software written by the inventor of the spreadsheet, Dan Bricklin? Dan is a legendary computer programmer and co-created Visicalc, the first modern spreadsheet program. Imagine what life would be like without spreadsheets... how many times a day or week do you open Excel or Google Sheets and take the system of formulae, rows & columns for granted? Well, someone had to invent the idea of the "spreadsheet" and that person is Dan Brickin, the CTO at Alpha Software. Dan's code appears in Alpha Anywhere, the software that powers asbestos software Alpha Tracker and we have had the privilege of meeting and presenting with Dan at the Alpha DevCon developer conferences over the last few years. Dan's TEDx talk is just brilliant and well worth watching. Hope you enjoy meeting Dan as much as we do! Kim has been to Dumfries this week to meet and train the asbestos consultants working at Plansafe Solutions. With many years’ experience, Plansafe Solutions offers a full range of cost-effective health and safety services, training and expert witness consultancy. They help organisations across the board, from small companies to major manufacturers and public bodies. Their asbestos services division provides expert surveying and management services. Plansafe were keen to switch to asbestos software Alpha Tracker to improve efficiency and reduce the administration associated with produce asbestos reports for their clients. 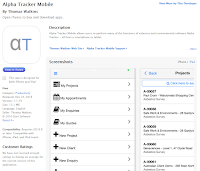 Our latest asbestos software Alpha Tracker beta release is now available for download. This is known as Release 24 beta 2 (SVN2230) and is available to our beta testing asbestos consultancy customers on the software download menu. We've updated and improved the performance patch for asbestos software Alpha Tracker (see http://robinbennett.blogspot.co.uk/2016/12/alpha-tracker-performance-patch.html). The latest patch is known as SVN2218). If you need any help downloading or applying the patch, please contact support. We have just updated our website with the new setup charges for the new Alpha Tracker Mobile app. The app itself is free to download for your staff and customers but there is a small setup charge and monthly App Server subscription. Please see http://www.start-software.com/tracker/alpha-tracker/alpha-tracker-mobile/ for more information. Our support stats are in for the last month of 2016. Our priority for 2017 is to reduce the numbers of calls by improving aspects of our software which trigger the support calls in the first place. Our support desk phones are ringing off the hook today with callers struggling to remember their logins and passwords to asbestos software Alpha Tracker after the long break! We're looking forward to 2017 with plans to extend Alpha Tracker even further with a new range of environmental/hazardous material features both in the desktop system and our Android and iOS (Apple) apps (known as Alpha Tracker Mobile). 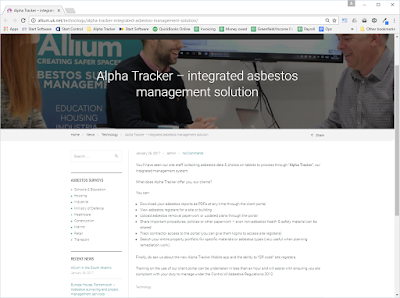 Please note - our Alpha Tracker asbestos consultancy clients will be receiving a summary of their Alpha Tracker 2016 activity in the next week or so.